are suitable for a beginner. You can join them as shown in the video tutorial or you can use a different granny squares joining method. (See more options here). 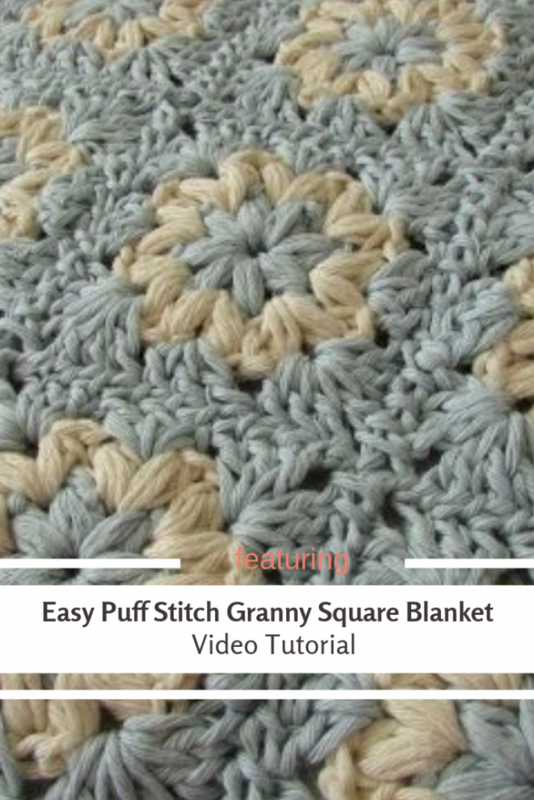 This pattern can be also used to make a puff stitch granny square afghan, throw or cushion cover. For my squares I used a 6.5mm crochet hook and Drops Paris yarn (worsted weight). You can get the written pattern on Etsy.. Thanks to WoolyWondersCrochet for the article inspiration and featured image.